Let me start by saying that Kino AV is a small business, meaning that there is no way that this article won’t be at least a little bias. Despite that I am going to try and look at the pros and cons of small business compared to the big retailers. When writing about something, it often helps to start with what you already know. So lets start by looking at Kino AV (a.k.a us). We know where our strengths lye and we don’t shy away from talking about them, as a small business being vocal is vital. Our biggest strength is and always has been our service! This isn’t unique to us, many small businesses set them selves apart from “big corporations” by treating people…well…like people. Big organisations can focus on customers as “consumers” or as a way to hit sales targets, making you feel like a gear in a machine. Now this is something you will never get from your local independent. I would like to think that we stand out as the tech guys who care, even when you compare us to the other little guys! (our online reviews seem to back this up!) I think our size really helps us deliver on customer service, as at Kino we only employ around six people. This means that if you phone us on two separate days, you will probably be speaking to the same person. (This is normally our lovely store manager, Petrina). This close knit environment also means that you won’t get lost in a big system. The person who sees you today will most probably be the person who sees you next time, and that’s the big thing about working with Kino. Whether it’s been a week or a year, we are only a phone call away to help you with the tech you have bought from us. One criticism I see time and time again is that all small businesses are more expensive. This is just flat out not true. 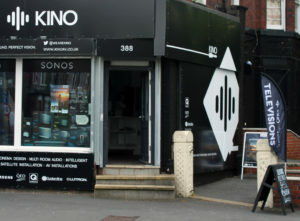 At Kino we will price match any of our TV’s, we can do this because our suppliers price support us. This means that we stay competitive and that we are never beaten by the big guys. Now don’t get me wrong, some places like your local corner shop, make their money by charging a premium for convenience (a.k.a the corner shop). But honestly those kind of places are dying, with Tesco express and other “mini” super markets offering the same thing a lot cheaper. To survive as a small business you need to offer something the big stores can’t, not just good service but a product that just can’t work on their scale. A lot of the time this means that a local store looks at quality rather than trying to beat the high street to the bottom price. This sometimes mean that they can seem more expensive, while they are in fact offering a much better product at a market competitive price. Take TV’s, we won’t stock budget brands because “cheap and cheerful” often means not made to last. We only stock Panasonic and Samsung, which means if you look at our cheapest TV and compare it to the cheapest TV somewhere else, we will seem more expensive. But I’m afraid this is comparing apples and oranges. 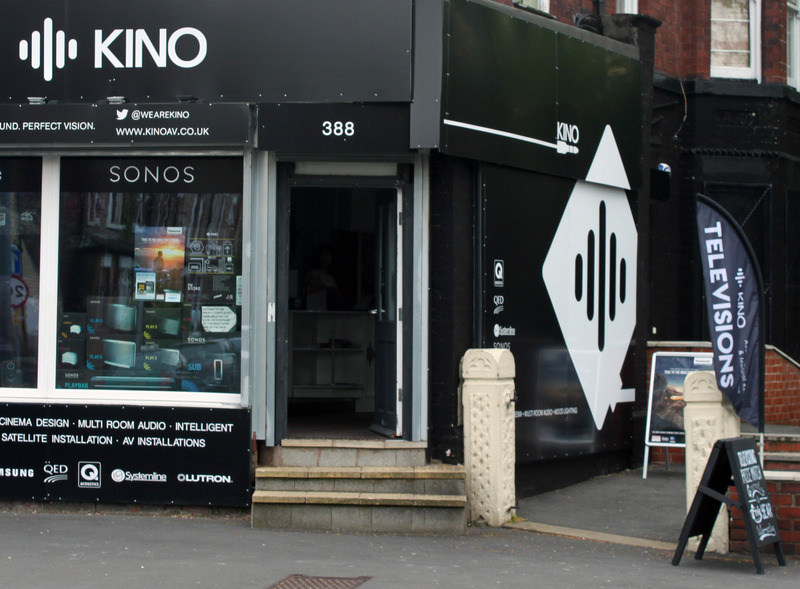 At Kino we make almost all our money on installation, which sets us apart from retailers who could never offer this kind of service. We are with you every step of the way, if something goes wrong two years down the line, we want you to be be confident that you can phone us to talk you though it. This long term plan and reputation is the reason we don’t stock the “budget” brands that the big guys do. All our TV’s come with a four year guarantee, because if something goes wrong we want you to know that we are just a phone call away.